us army 20th engineers : surfboard, france 1919. Edited by Simmons, Perez and Davies, Alfred H.
Even a surfboard was ordered for one of the battalion commanders, and it was duly and promptly turned out and delivered. Although this is an incredibly brief report, it appears very plausible that a US Army officer had a surfboard shaped,and surfed it, in France during the closing days of the First World War, 1918-1919. It is possible that his enthusiasm to procure a board was generated when he recognised the surfing potential of one of the local beaches, given that there were four battalion headquarters located adjacent to the south-west coast of France (see map). 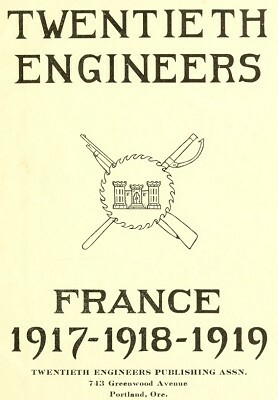 The demands on the Engineers would have diminished with the approaching Armistice in November 1918, and were likely even more relaxed for those who continued to serve in France up to late August, 1919. Certainly suitable sized quality timber would have been readily available for milling and the officer would have had access to a team of high quality craftsman, no doubt able to produce a suitable board given a general description and a basic sketch, or even a photograph. The book does not have page numbers. soldiers well qualified for meeting one of the critical emergencies of the great war. General Pershing had been in France but a few weeks before he was impressed with the necessity of a special organization for supplying the American army with the vast quantity of timber needed in its operations at and behind the front. The 20th Engineers was the answer to this problem. It was organized largely from men trained in the forest industries of America. These men brought to the colors not only the patriotism of the citizen but the adaptability, the physical hardiness, and the rough and ready mechanical skill of the American woodsmen. They knew the work which they were called upon to perform; and they put into it not only the woodcraft whichthey had acquired but a spirit of backing up the fighting dough-boys which was unexcelled in the Expeditionary Force. 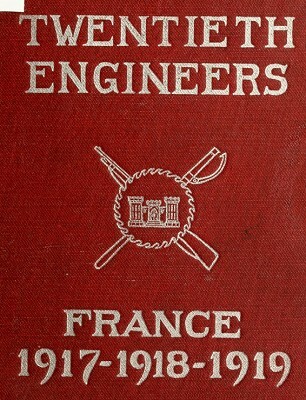 The Corps of Engineers was represented in France by the Division of Construction and Forestry, the Division of Military Engineering and Engineer Supplies, and the Division of Light Railways and Roads. 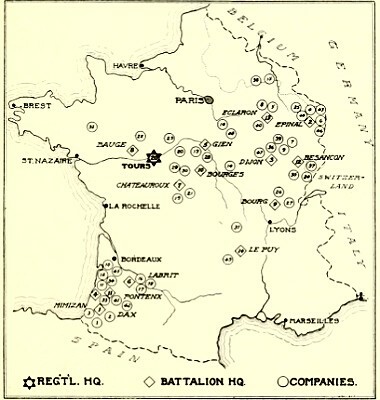 The accompanying map of France shows the status of the regiment under war conditions, on Nov. 11, 1918. The A. E. F. was in its infancy when, on November 26th, 1917, the first board was sawed in France by the forest troops. And on late in August, 1919, when the last of the Twentieth Engineers sailed for home, the A. E. F. had reached a withered old age. lumber required, closed up its affairs in a businesslike way, and left behind it a unique and clean record. The first operations were started in the pineries of the Landes, in the valley of the Loire, and in the softwood forests of the Vosges and Jura mountains. Many of the operations were started temporarily with small mills obtained in France, which were overhauled and made to increase their rated capacities several times over. The largest unit was a permanent and powerful steam plant rated at 20,000 feet in 10 hours and there were two portable mills used — a portable steam mill of 10,000 feet capacity and a light bolter mill driven by steam or gas tractor and rated at 5,000 feet in 10 hours. Standard gauge railroads up to three miles in length were built at two-thirds of the operations for connecting the mill docks with the French lines. Light railway of three-foot, meter, and 60 centimeter gauge were laid in great amounts with steam or gas locomotives, horses, or mules to pull the log trains. In the Vosges a narrow gauge road 4,000 feet long and with an average grade of 35 per cent was handled by a donkey engine. 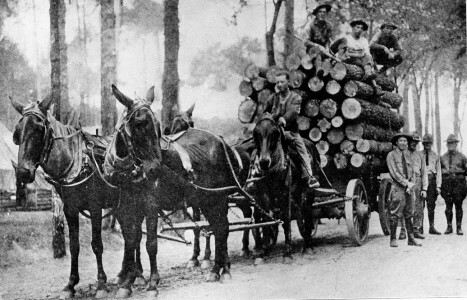 Much of the logging was done with horses and mules with log wagons, spool carts, or high wheels, and motor trucks and tractors were often used. The current monthly needs of the Army rose to 50,000,000 feet of lumber and timbers, 250,000 railroad ties, 6,500 pieces of piling and cribbing, 1,500,000 poles and entanglement stakes, and over 100,000 cords of fuelwood. With the exception of a small quantity of piling and timbers for the Bassens deck, none of the great supply of forest products came from the United States. Coming after the Canadians had become established in the woods of France, the Americans were obliged to scout and acquire stumpage in more and more inaccessible locations as time went on. In the summer of 1918 it was necessary to push out into the southern Jura region and the Central Plateau of France to obtain the required amounts of standing timber. Preparations for the St. Miheil and Argonne Drives kept the regiment at it with even greater intensity, ties and planks and stakes being needed in immense quantities and in a tremendous hurry. Leaves were hardly considered during the tense months of 1918. Wagon tongues, wood for artificial limbs, aircraft spruce, tent pins, bunk lumber, were special jobs done by the regiment. At first many of the outfits were under canvas, but as the second winter approached squad houses were made. Machine shops, kitchens, Y.M.C.A. huts, stables and in fact everything down to furniture and picture frames was made at the camps by the men. posted on a French surf site which added several photographs, including the one shown right. Note the size of the load. Geoff Cater (2017) : US Army 20th Engineers : Surfboard, France 1919.